The NetSuite integration with Virtual Contact Center requires access to the web services. If your NetSuite User role does not have permissions to the web services, the integration fails. To resolve this issue, the NetSuite CRM Administrator should grant the role access to the web services. 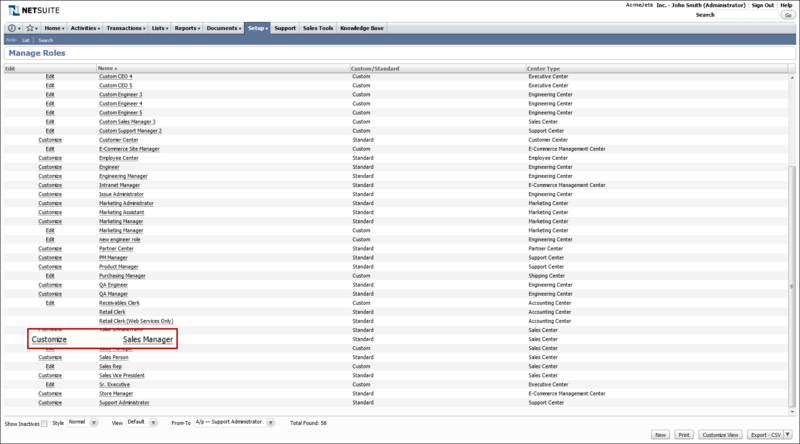 Log in as a NetSuite Administrator. Click Setup > Users/Roles > Manage Roles. 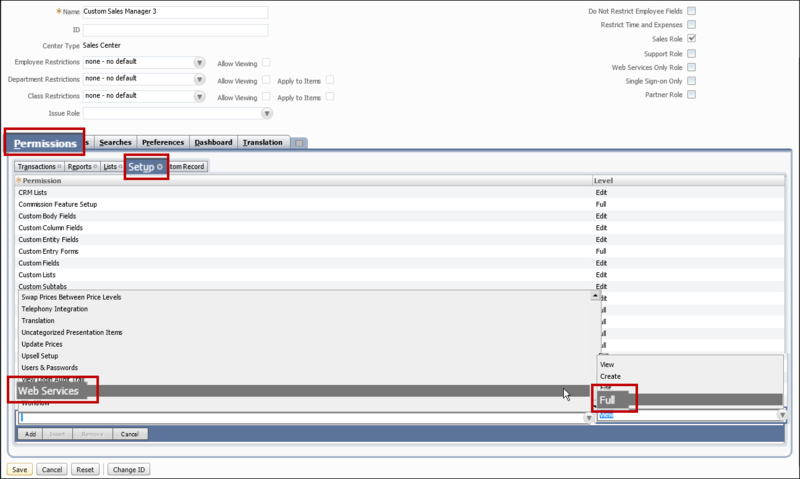 Select the role you want to add web services to; for example, Sales Manager. Click Customize next to the role. Click Setup under the Permissions tab. Add Full level Web Services access to the role.